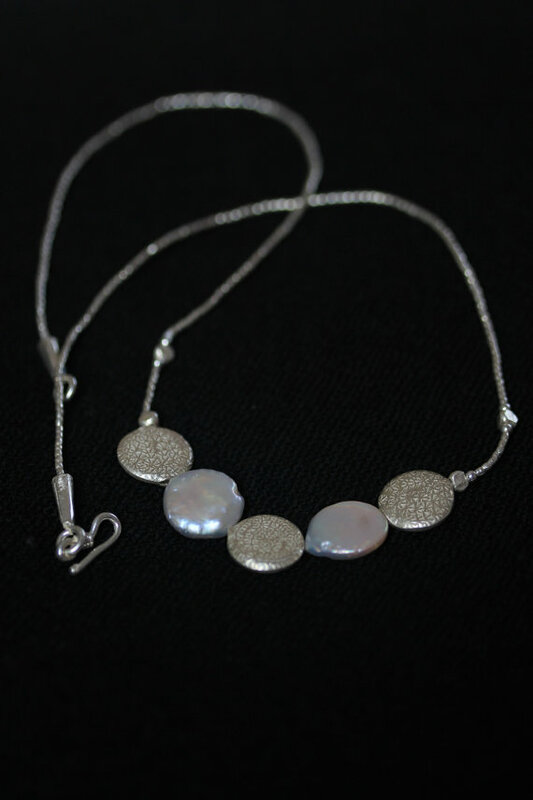 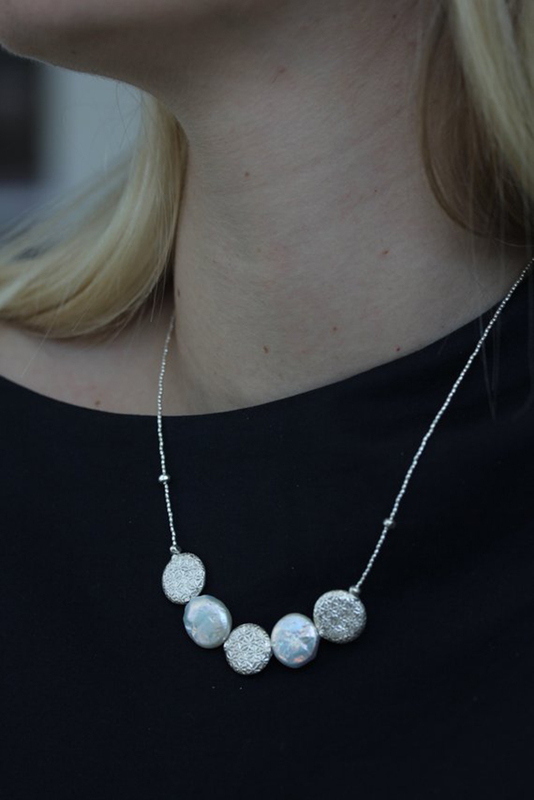 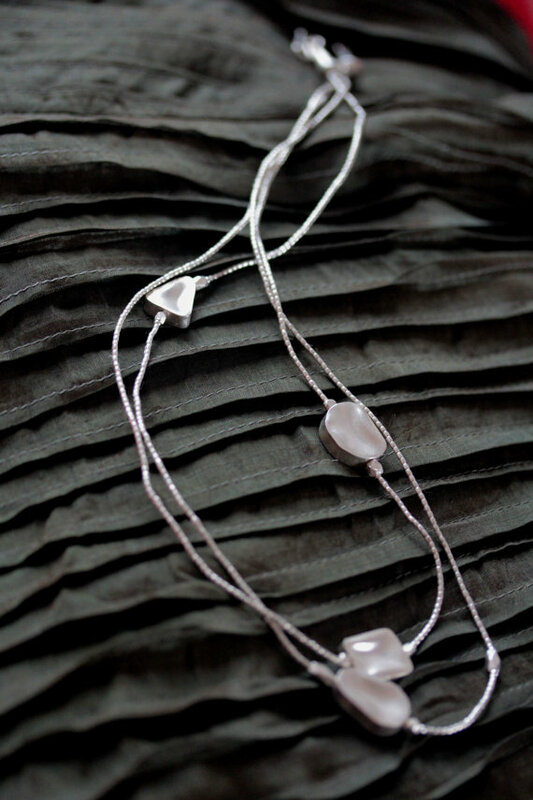 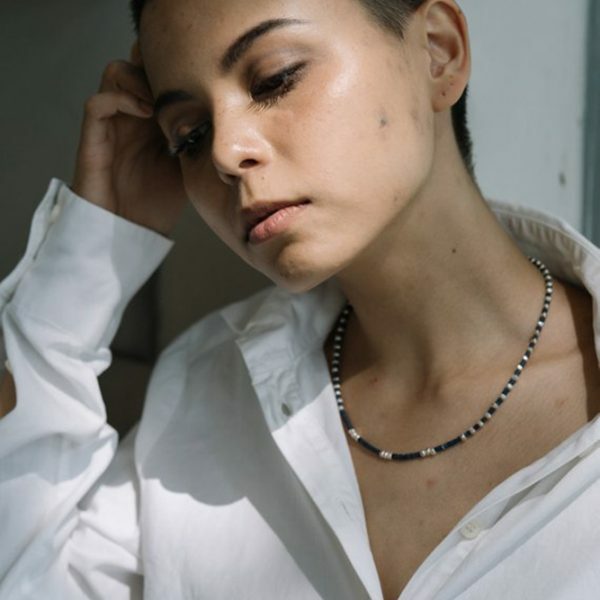 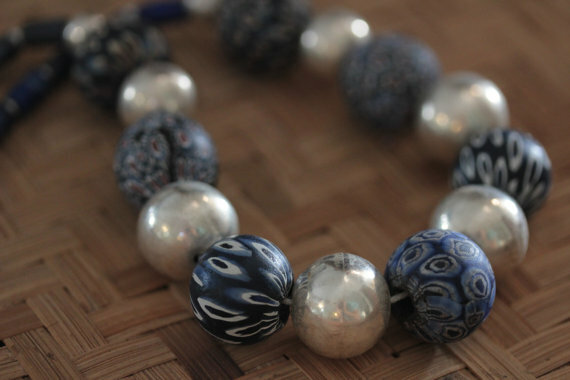 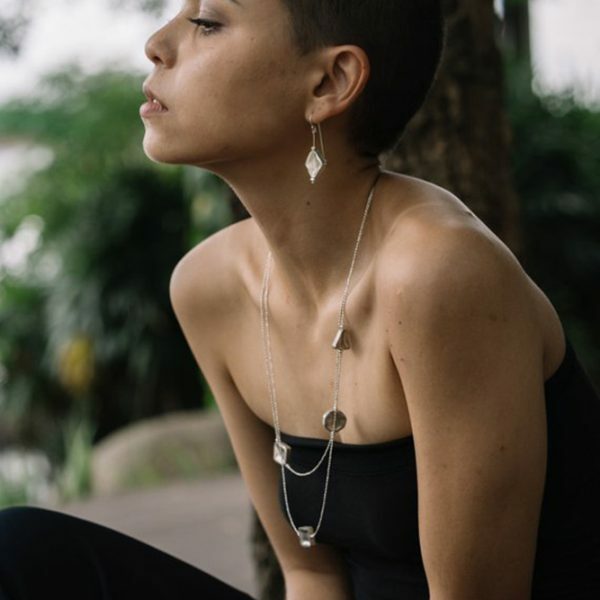 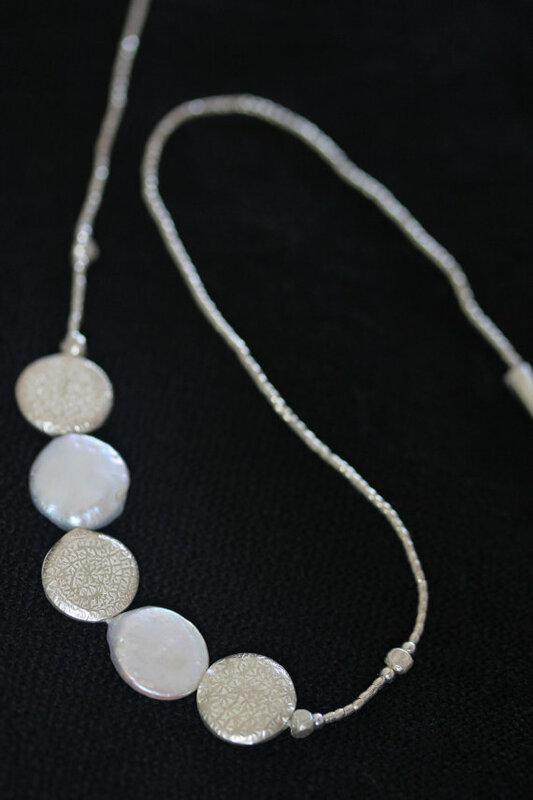 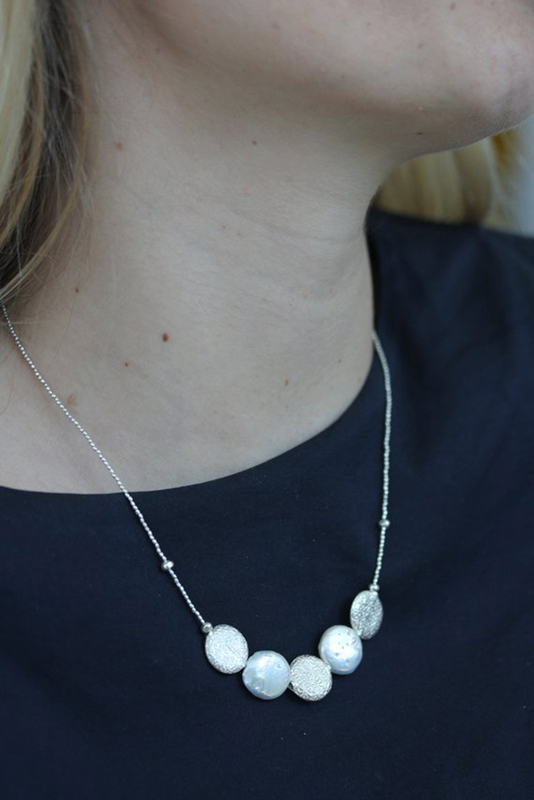 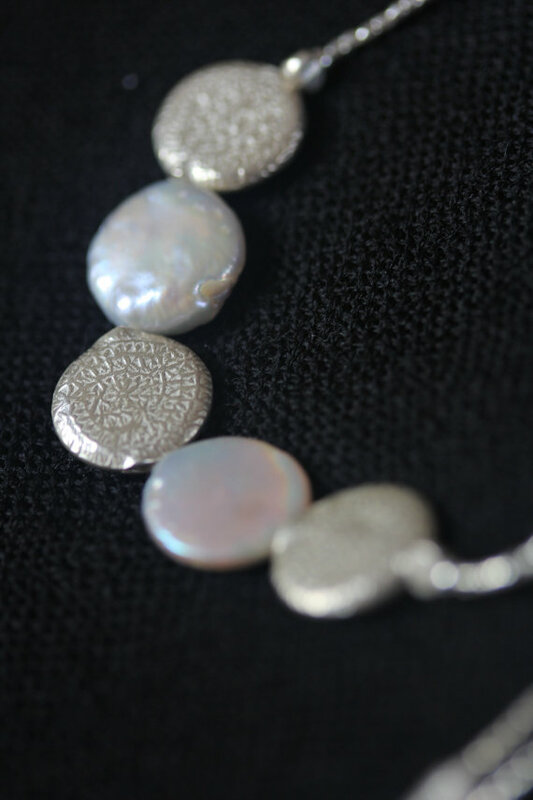 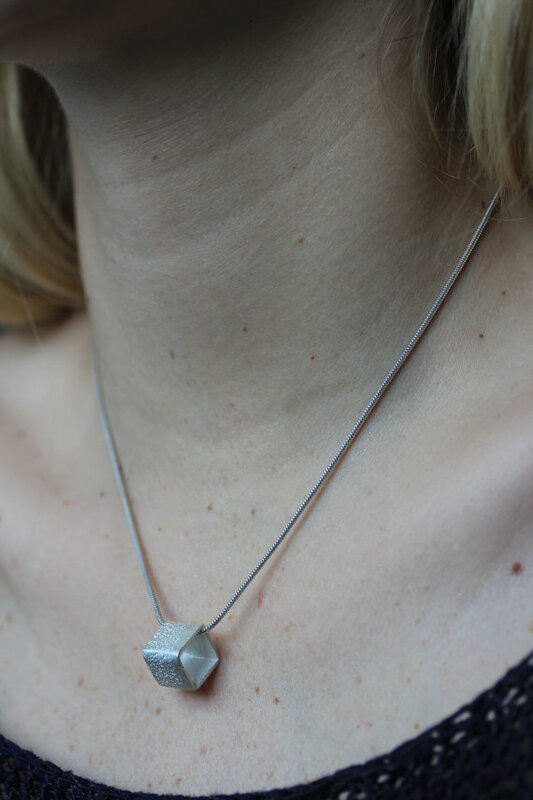 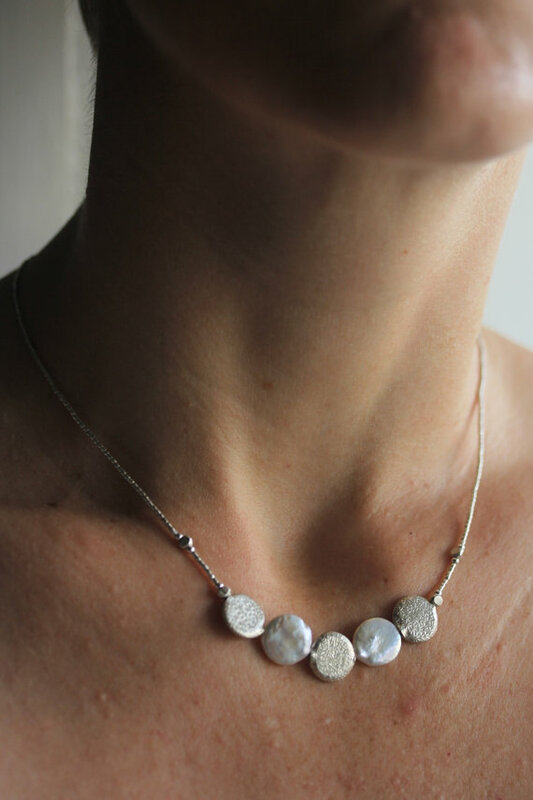 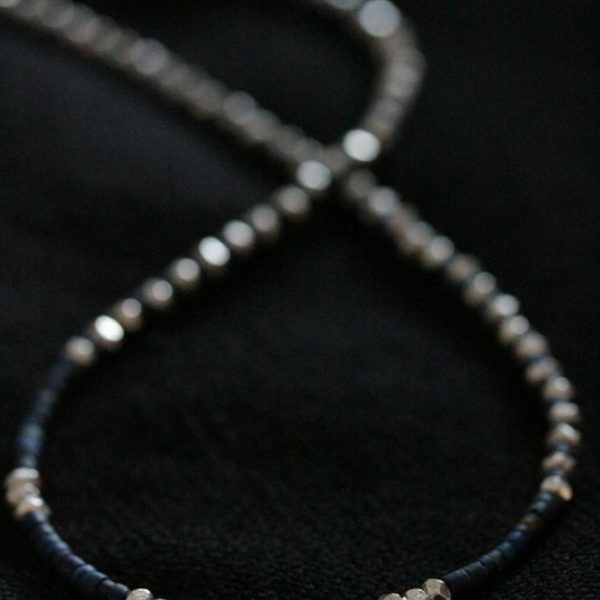 This necklace is composed of 2 button flat-shape white-iridescent pearl beads and 3 handmade geometric shape patterned silver pieces, linked with small sand grain silver beads. 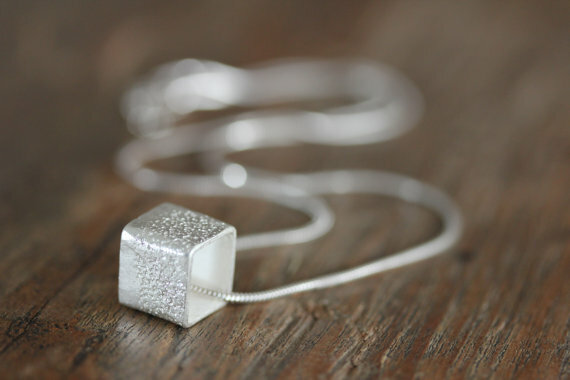 It closes with a silver cone-shape hook. 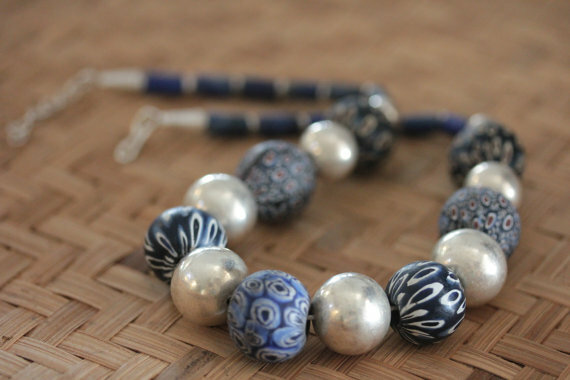 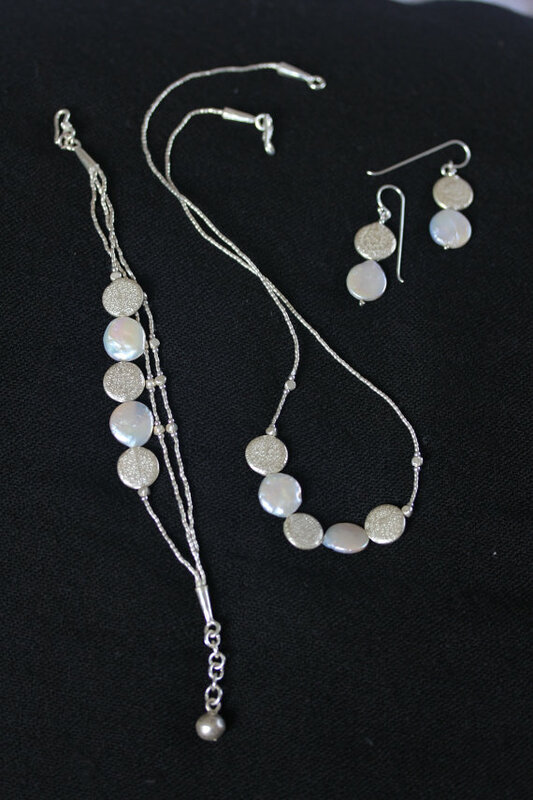 All silver parts are handmade in 98% silver by the Karen hill-tribe silversmiths.